We live in a world that is slowly and gradually getting more and more governed by apps. No doubt applications have made life easy and convenient. There is a lengthy list of apps existing in each category and their respective sub-categories. Among the most important aspects which need to be taken good care of while designing an app, is its overall look, layout, and appearance. You may also see App Profile Page Design. An app needs to look as good as it is supposed to function. 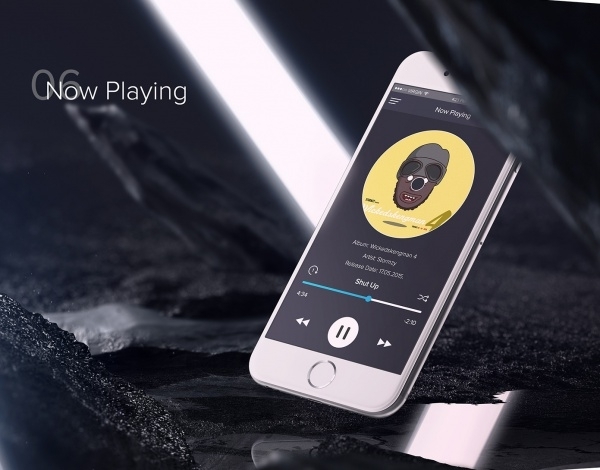 For this post, we scoured the Web and shortlisted a lineup of Music App designs. 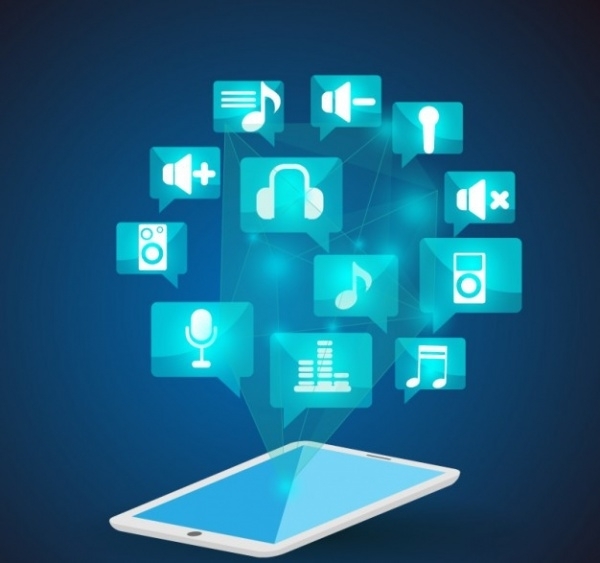 Music apps are immensely popular and new ones keep popping up on a daily basis. Our design ideas will help you significantly. 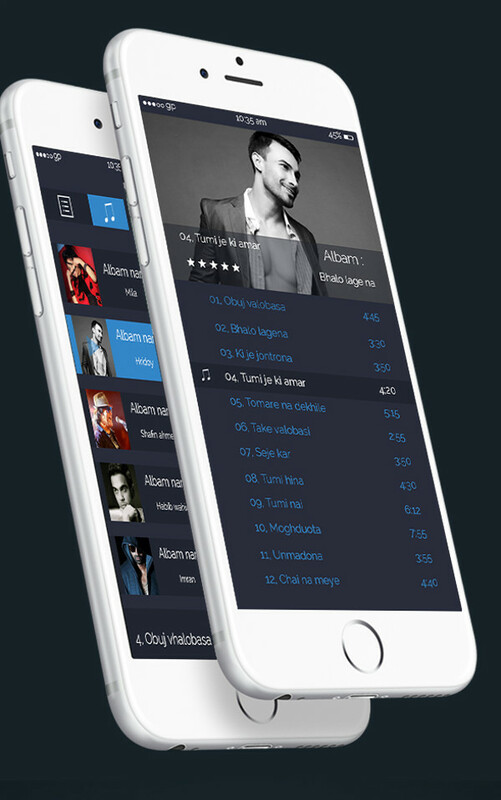 Here’s a very vivid and vibrant music app design which has been created after taking cues from the iOS7 user interface look. 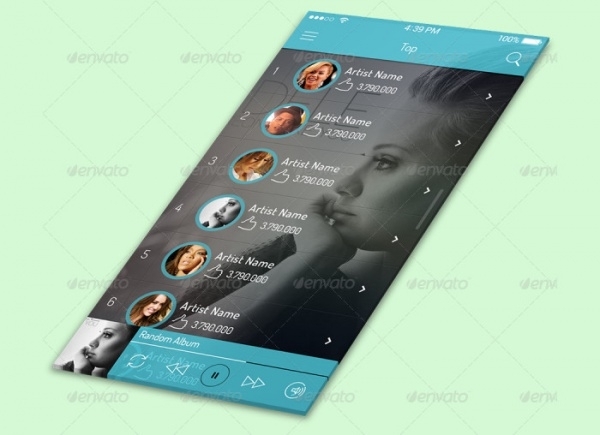 This is a free and fully customizable app design template which can be improvised upon depending on user requirements. You may also see Mobile UI App Designs. 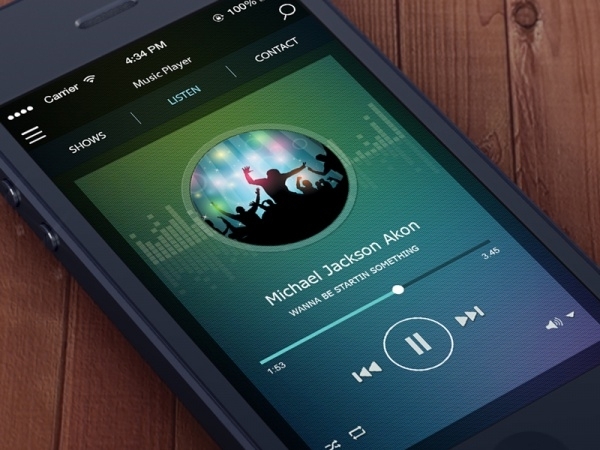 Check out this all amazing mobile music app vector. It is loaded with music graphics and other designer elements – all of them fully editable and customizable. 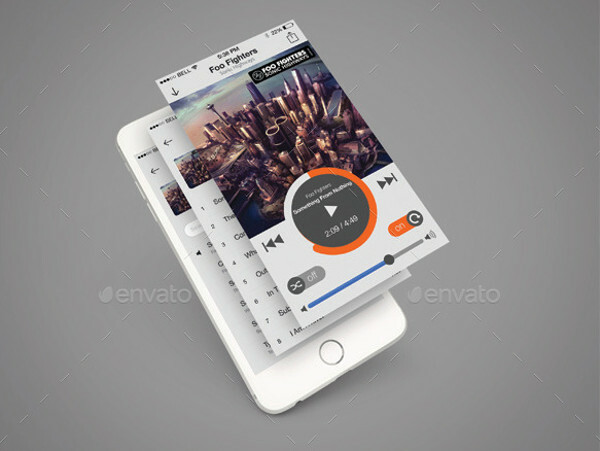 This music app design sample is a free download vector. 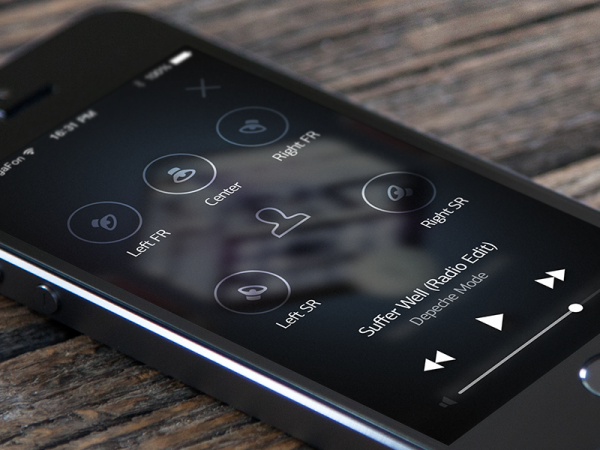 This music app design mockup features a music app running on an iPhone device. The design is sleek, clean and colorful. If you an app design of your own and you’d like to incorporate the best of both and recreate a new design, this particular template is a good choice! If you’re tasked with creating an interesting music app design which would run on iOS devices, this fully-customizable PSD-quality mockup is a perfect fit. Loaded with creative design and editable aspects, this mockup is a topper! 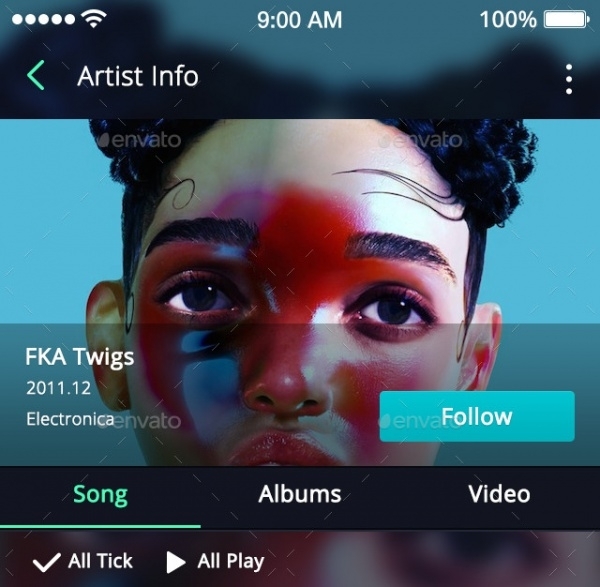 This music app design sample is ideal for those who want to establish a music playlist website. The overall design and its elements are fully-editable. This template offers you multiple view screens you can work with: home screen, Friends screen, Artist view screen, Album view screen, and Search screen. 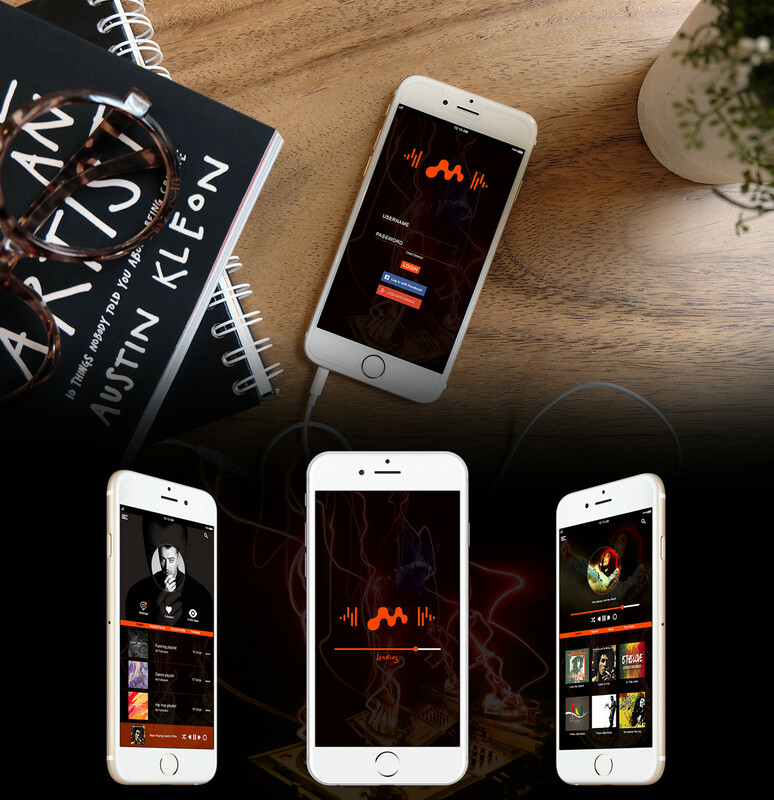 This is a smartphone music app design mockup which you can easily download and custom-make and share with your clients and customers. The vector is high-quality and is available in high resolution and it is also resizable. 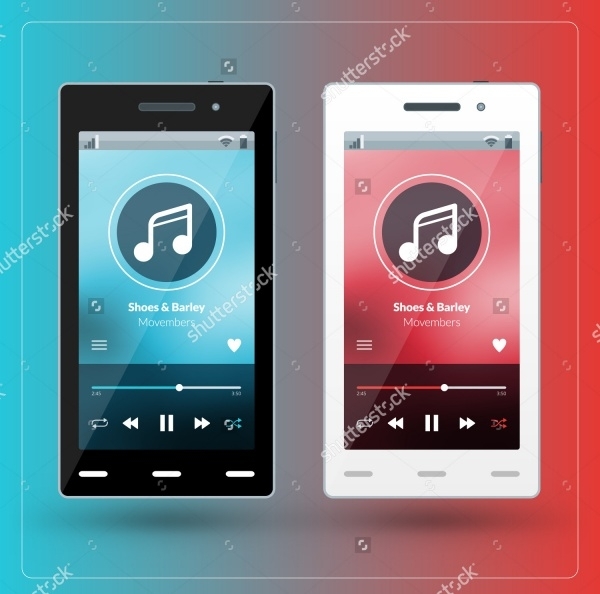 Available in different color palettes, this is another winsome music player application program design which you can download and work on in Adobe Photoshop. Again, this one is designed using a smartphone mockup. Be it playing a song or just loading your favorite songs into your mobile device, here’s another great-looking and well-wired app design which will not just make your music look good but make it also sound better! 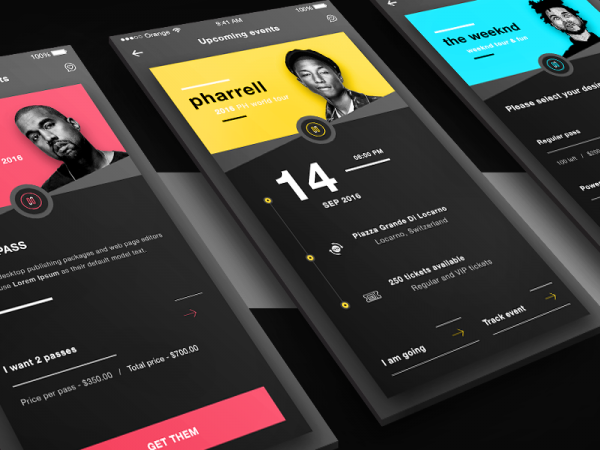 Loaded with flat design and admirable customizable features, this all-wired music app design is a multipurpose template. A user can easily mould it and line it with elements and tools of your choice. 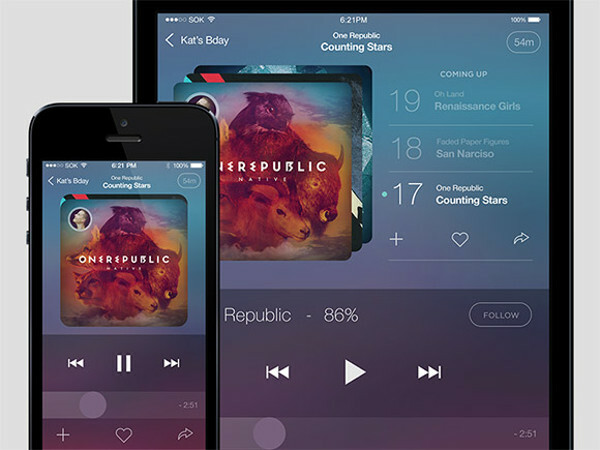 If you’re aiming to build an attractive music player application for iPad devices, this template is just perfect. It has the looks and the qualitative features which will assist in the overall customization process. 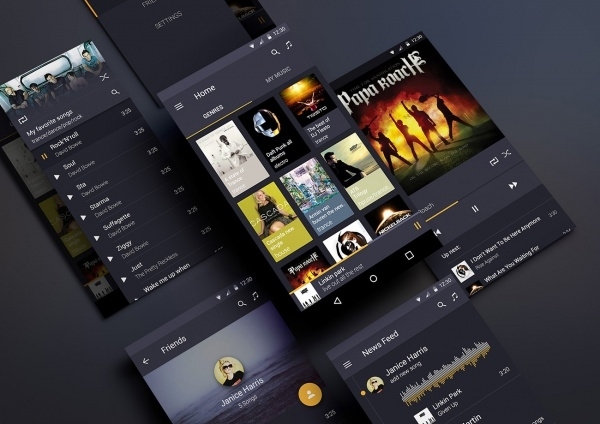 This music app design template is loaded with high quality looks and design. The template comes packed with 8 separate PSD files. This template can be used in professional as well as personal projects. 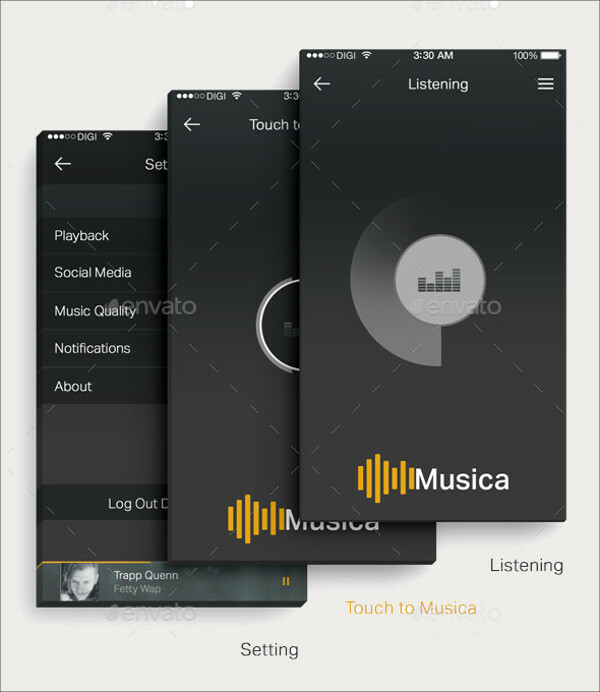 Check out this user-interactive music app design sample. The application design is modern and the template is wired with navigation tools which are editable. 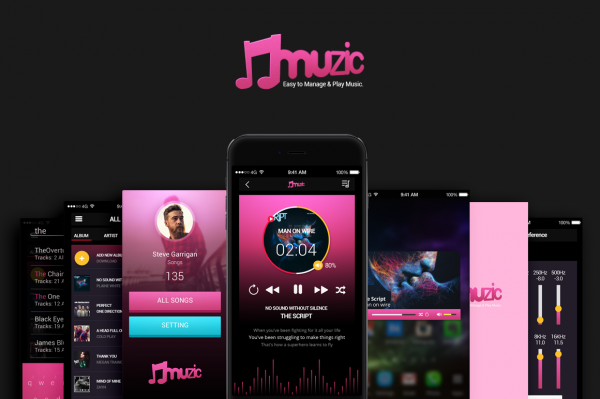 Wired with good looks, editable elements, designer buttons, interface and effects, this music app design is yet another very good contender you can choose and test out your design and creative aspirations. This template has a flat design. 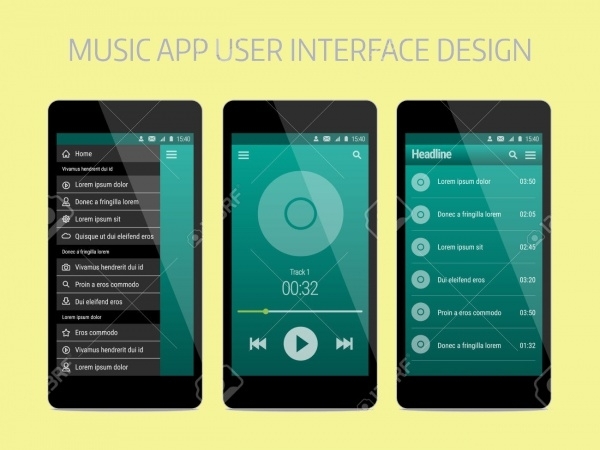 Show to your clients how attractive your music app design will look on different devices. This elaborate gives you multiple device mockups – each of them is wired with smart objects which you can easily remove and edit. 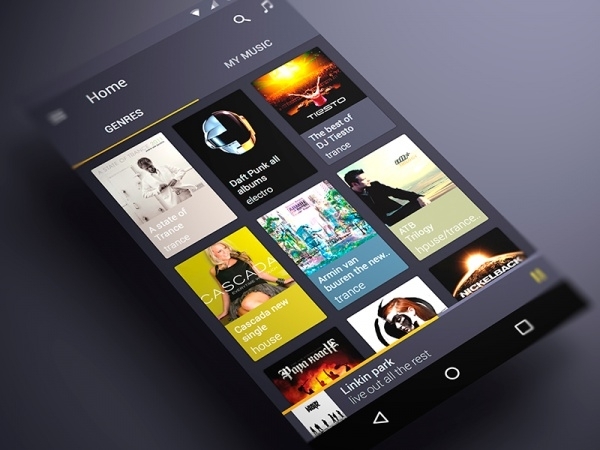 Check out this bright and vivid music app design template. 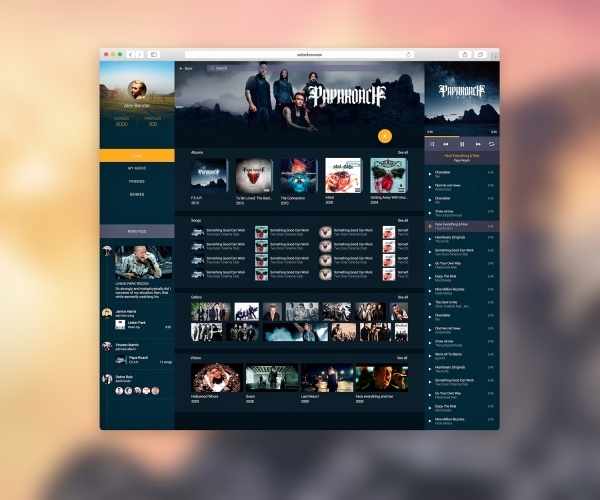 Endowed with great looks and features, this template you get a chance to view and customize a stack of 7 screens – logo screen, album screen, search screen, player screen, equalizer, sidebar screen and minimize screen. The way a music app looks is incredibly important. Precisely big reason for developers to continue providing readymade well-designed templates which rookies and professionals. 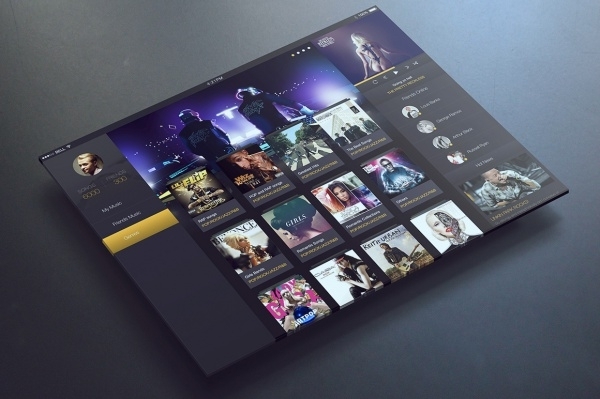 They can use these in their music app design projects and endeavors. We have tried our best to give you the best design ideas trending nowadays!